In the age-old debate of console gaming versus PC gaming -- which was revisited this week during our record-length Co-Opticast -- PC has always fallen short when it comes to ease of use. As Mike and Kat so aptly pointed out, one of the main reasons for this is the hassle of installing patches post-release. Since 2003, Valve's free digital distribution service, Steam, has helped alleviate that setback, bringing PC gaming up to par by providing automatic patch download and installation. As of September 2008, even game mods are being offered on Steam. Yesterday Bohemia Interactive announced that Steam would be hosting ArmA II in addition to the standard retail availability. You can pre-purchase and download the game, which will then be unlocked on June 26th. in battle as never seen before. allowing us to offer ARMA II to millions of their customers online"
gratifying to us as a developer." It is important to note that since the game has been developed in Prague, it has to be distributed by a North American publisher for U.S. release, which affects the majority of our community here. So far, ArmA II is without a publisher for North America; thankfully, a publisher is not necessary for a release on Steam. 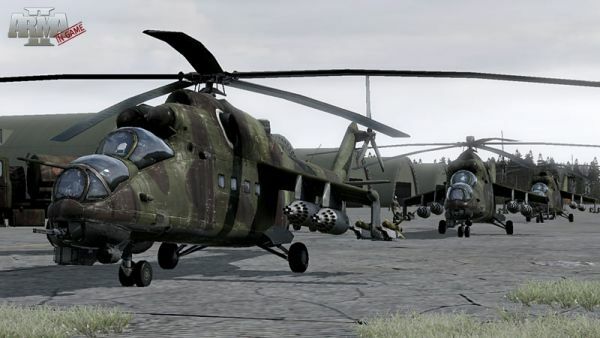 Although there is no official information posted about the number of players that can co-op together, a beta tester has posted in Bohemia Interactive's forums that the campaign supports four-player co-op. Page created in 0.3418 seconds.